Flying cars in Los Angeles won’t just be something dreamed up by Hollywood movie studios if Uber has its way. The ride-hailing company announced Wednesday it wants to bring airborne taxi service to the city by 2020. Los Angeles and Dallas are the first cities being proposed to host Uber’s proposed network of flying taxis, and the company expects them to be in heavy use by the time L.A. hosts the 2028 Olympics. 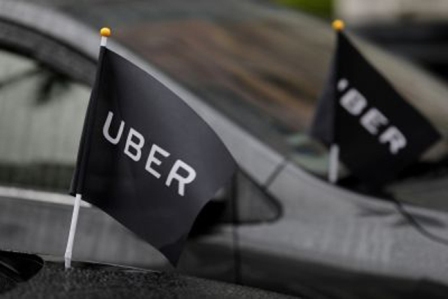 “We are bringing uberAIR to Los Angeles in no small part because Mayor (Eric) Garcetti has embraced technology and innovation, making L.A. a hub for the future,” Uber Chief Product Officer Jeff Holden said. The company envisions a network of small, electric aircraft in numerous cities worldwide to enable four-person flights. The aircraft would differ from helicopters in that they would be quieter, safer, more affordable and more environmentally friendly, according to the company. Uber contends its analysis estimates that an all-electric, 200 mph ride across the skies of Los Angeles will be price-competitive with an uberX trip of the same distance. A special effects video the company released on Twitter showed how the technology would work, portraying a woman hailing an uberAIR and then riding an elevator to the roof of a tall building to catch her flying ride. “Los Angeles has always been a place where innovators come to build new ideas that can change how we live our lives. L.A. is the perfect testing ground for new technology, and I look forward to seeing it grow in the coming years,” Garcetti said. Alex Comisar, Garcetti’s press secretary, said discussions with the company operating the technology in the city are in the preliminary stages. “We are in the earliest stages of learning about this technology and how it might impact our communities, and look forward to continuing the discussion in the coming months and years,” he said. Uber also announced it has signed an agreement with Sandstone Properties to develop skyport infrastructure to serve as takeoff and landing hubs for uberAIR flights at Sandstone’s 20 locations in the greater L.A. area. A ride on uberAIR from Los Angeles International Airport to Staples Center in downtown Los Angeles would take 27 minutes, compared to the typical 80 minutes by car, according to Uber. The company also announced it has signed an agreement with NASA to develop a specialized air traffic control system for the network.